I still remember Gouldy said 'Money is no object to me' before his match against Stuart Bingham in quarter-finals and today he won it. 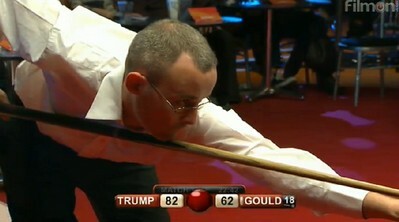 This final is Gould's second final after PTC Grand Final in March this year, unfortunately losing Murphy 0-4. This time Gould held his nerve to win the first ever title in his professional career. 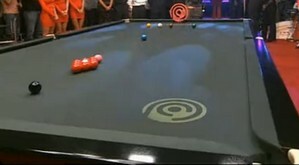 Ronnie was once 234-138 up after the three racks but the turning point of the final came in the fourth. When the crowd thought that the defending champion would win the title again, Ronnie missed the power ball straight to the central pocket and Gould was back in. He caught the chance to make the match upside down, beating the defending champion by 268-258 to lift up the trophy. Gould: "The trophy means a lot to me because it's my first. The money doesn't matter at all,"I've loved every minute of it. It's a different game but at least I know I'm cueing well, which bodes well for the next few tournaments.'' After losing a Power Snooker match for the first time, Ronnie congrated Martin: "he played a brilliant game. I had chances and missed a couple, he took advantage and held his bottle." 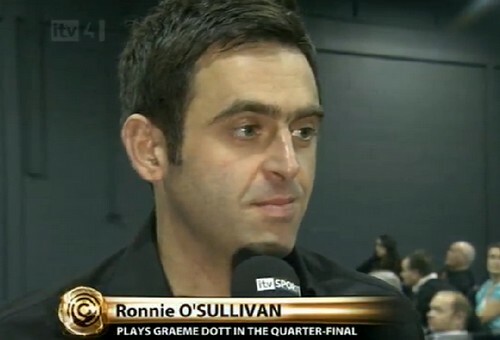 Be honest Ronnie tried his best for the tournament because he was on the edge to be stopped by Graeme Dott in the quarter-finals. Dott led Ronnie for more than 100 points when the match was ten minutes away from the end. The miracle happened - Ronnie grabbed more than 100 points in just 6 minutes and potting the black to win 185-182. Later Ronnie even produced a victory 519-157 in semi-finals against Neil Robertson which kept the highest score of the event so far. This is a very convincing tournament victory for The Pinner Potter. He defeated Judd Trump out of everyone's surprise in the first round and then Stuart Bingham, lastly the world number one Mark Selby in the semi-finals. A good start for Gouldy to look out for the coming ranking tournaments in the next two months. The spirit of Selby is admirable. He persisted in his way of playing Power Snooker: playing safety when he was holding advantage, and this strategy brought him the boo from the crowd. 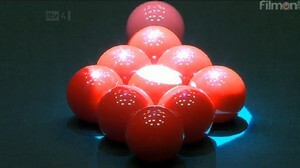 This winning tactics was widely used by players such as Selby and Robertson. I believe Selby was doing the right thing. There is nothing wrong with his action, not even breaking the rules. The audience should respect different types of players.